This article was first published in 2016 and remains online for reference purposes. For current Freeview channel lists click here. Freeview viewers in locations where there's a local TV service can now receive an additional TV channel, which is being piggy-backed on to the local TV signal. Christmas movie channel True Christmas, which launched elsewhere on 30th September, has been added to channel 74. Previously only available in the Manchester area on Freeview, the service, which replaced True Movies 1, is now available via a normal TV aerial in most major cities across the UK, including Belfast, Birmingham, Bristol, Cambridge, Cardiff, Edinburgh, Glasgow, Hull, Leeds, Liverpool, London, Manchester, Norwich, Nottingham, Oxford, Portsmouth, Sheffield, Swansea and the Tyne & Wear area. True Christmas is the home of back-to-back festive films. The channel - which routinely replaces True Movies for around three months a year - was first broadcast on Freeview in parts of the UK late last year. There are now three extra TV channels that are broadcast alongside the local TV signal on Freeview: True Crime (channel 60), True Christmas (channel 74) and Kix (channel 127). Viewers may need to retune to gain access to the new channel. 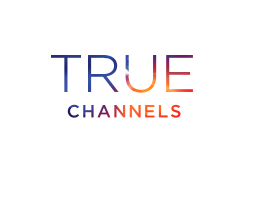 True Christmas is also available on YouView receivers on channel 74 subject to local coverage. Sister channel True Entertainment remains on its current slot on channel 61 and is more widely available on Freeview across the UK (except from transmitters in Wales). I just wanted to comment on your DAB news story if I could. Sorry for being off-topic but I don't know why you don't allow all your media stories to be allowed to be commented on. Hope you can explain why that is. This transmitter at Nigg, I have found out is in Aberdeen! Not the Stoke & Stafford area. So presumably Nigg is listed in the wrong place and is presumably a new transmitter either for the local Aberdeen DAB service itself or for BBC National or Digital 1. Hope you don't mind me pointing this out. Ofcom have the transmitter listed as Stoke & Stafford! Amendments to the page will be made. Every week, a selection of articles are chosen to have the comment function enabled. Due to the misuse of the comments function (spam, etc), this makes it easier to control moderation. If you see something on a516digital you disagree with, go to the contact link at the very bottom of every page and navigate through to the contact form. Thanks. No surprises it's on a Local multiplex. I can't get the Christmas channel in Leicester?will it ever come available here ? It really depends on a few factors. I would start by putting your house number and postcode into the Digital UK website to find out which transmitters you should be able to receive in your area first. If the results show you can receive Big Centre TV from Sutton Coldfield or Notts TV from Waltham then you also be able to receive True Christmas. Check if your aerial looks to be in good condition with no elements bent or broken off and check the cabling down to your TV and also check your aerials' Polarity as to if it is Horizontal or Vertical and as to which direction your aerial points in also. 1. What aerial group is your aerial? 2. Is the polarity of your aerial Horizontal or Vertical? 3. Which transmitter is your aerial pointing to? 4. What transmitter is your TV equipment actually tuned to? If it's a Wideband, it can receive the full range of freeview channels from 21-68 UHF. Other aerial groups can only receive 21-37 (A), 35-53 (B), 48-68 (C/D), 21-48 (K) or 35-68 (E). To ensure you can receive all frequencies available in your area, you need to ensure you have a Wideband aerial fitted. If your aerial is pointing Vertically and only receive a limited number of Freeview channels, you are probably receiving a Relay transmitter and for a fuller range of Freeview channels including local TV and True Christmas, you need to be able to receive Sutton Coldfield or Waltham (I would imagine are most likely) in your area. 3. If your aerial is Horizontal, check if the aerial points towards Sutton Coldfield or Waltham. If you have a signal meter built into your TV equipment, check what signal strengths and what qualities you are getting. 4. Check with the manual tuning feature of your TV equipment and a website such as www.ukfree.tv as to what frequencies your are actually tuned to and compare these on UK Free TV to determine which transmitter you are tuned to and if your aerial is pointing in the same direction as the transmitter you are receiving. If it turns out you can receive local TV but can't then it may involve either a new aerial cable installation (if old/damaged) or a new aerial (if old, damaged or replacement from a non-wideband aerial to a wideband aerial) or a re-alignment of your aerial for it to point in the correct direction for the reception of local TV. Check with your neighbours and others in your street first though as to if they can receive local TV through their aerial on Freeview because if they can't maybe the local TV signal just isn't designed to be transmitted to your area unfortunately. Enjoy the film's when we can receive them, have retuned tv several times , had an aerial guy in but the signal strength is only 24 shame I really enjoy the Xmas film's as they have a good meaning with a feel good factor. I'm the same, but I get around it already starred recording loads of Xmas movies from movie mix, and channel 5 and 5 star will have them soon. I did it last year and had over 30 movies ready to watch when December came along. True Xmas (74), True Crime (60) Kix (127) and London Live (8) are bundled together as part of the same signal - so if you can't get one of them, you shouldn't get any. Coverage is lower than the national channels. Not all households that have a CR postcode can receive these channels, although you may wish to check with a local aerial installer to see if there is anything that can be done to receive the service. I live in Crewkerne Somerset, a TA18 postcode. I can get True Entertainment but not the Christmas channel. True Christmas is available is available in most larger cities via the local TV network, and is usually only available in rural areas close to the larger cities. I have 4 tv's and can get it on 2 of the smaller ones but not on the main TV any idea why? Assuming all TV's are fed from the same aerial, reasons could include your TV tuners having different levels of sensitivity to weaker signals or some loss of signal during a long cable run, or weak connections.